“Did you hear about Connecticut?” was the first thing my daughter said to me today. I had only just crawled out of bed and turned my computer on so no, I hadn’t heard anything. The first picture that came to mind was 9/11, because her tone of voice was similar to my sister’s when she finally got hold of me to tell me what had happened. I felt fear begin to build as she stood there and opened her mouth to speak. Is there some kind of movement going on that only people with twisted, sick minds are privy to? Are they looking for their fifteen minutes of fame? Just wanting to make national news? What is going on? Twenty small children, and seven other people, gunned down by a freaking lunatic. A movie theater massacre just months ago. Someone else trying to do the same at a mall not too long after that. The list of these tragedies is pretty much endless. Some will cry out, saying it’s because people have guns, and we need to pass gun control laws. I disagree. If only law enforcement, criminals and crazies have guns, where does that leave the average citizen. Besides, the Constitution guarantees us the right to own firearms. And idiots, obviously, abound. But ban the guns and they’ll just find other ways to kill. People think these kinds of atrocities are new. They’re not. In 1927, Andrew Kehoe, a school treasurer, set off several bombs in Bath Township in Michigan (known as the Bath School Disaster). Except to detonate his ‘fragmentation-filled vehicle’, Kehoe didn’t use a gun. He somehow managed to find the ‘ingredients’ needed to make the bombs so he could murder all of these people…except his wife, and he simply beat her to death , before setting his farm buildings on fire. The simple fact of the matter is, people kill people. If they don’t have guns, or bombs (which I understand aren’t that difficult to construct), they’ll come up with some other method because…. Anyone who is determined to commit a horrific act of violence will find a way. For the families of the victims. And for me. Tuesday marked the second anniversary of the death of my oldest daughter, and it’s just been a really difficult week. MADD reports that twenty-seven people die every day in accidents caused by drunk drivers (in the United States). Every day. How many do you think that adds up to in a year? I’ll save you the trouble of getting your calculators out. It’s 9,855. Yup. Almost ten thousand people are being killed by cars and trucks every single year. Therefore, I suggest we all start lobbying our government representatives to ban every car and truck on the road today. I mean really…it makes a lot of sense. After all, automobiles kill far more people than guns do. I should have clarified that I was being a bit sarcastic above. Cars and trucks don’t kill people anymore than guns do. But in the wrong hands, they are weapons…every bit as much as guns. See, the thing about guns is this. Those who go through the criminal background checks in order to purchase firearms are not the people we have to worry about. It’s the criminals, and the crazies who steal them that we have to fear. Because the people who go through legal channels aren’t purchasing their guns with the intent to kill anyone. They’re purchasing them with the intent to protect themselves, and their loved ones…if the need ever arises. So there is a lot of truth to the saying, ‘take the guns away from law-abiding citizens, and the only people possessing them will be the criminals.’ Because you just know that the criminals aren’t going to give theirs up. And there isn’t enough law enforcement in the country to find them all. 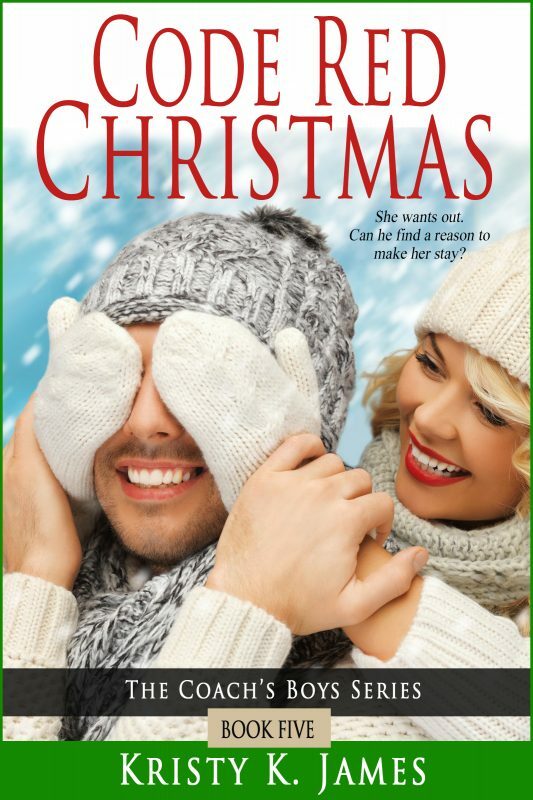 This entry was posted in Love and tagged A Fine Mess, A Hero For Holly, Enza, Erin's Christmas Wish, Kristy K. James, Reluctant Guardian, romance, school shootings, The Daddy Pact, The Stranger In My Head. Bookmark the permalink. Kristy, this is such a good post. I feel for the families of those that were killed. My heart aches for the parents that suffered such an agonizing loss. In addition, I sympathise with the personnel that have to analyze/take care of the scene. The horrors of this kind of incomprehensible action impact and change so many people. Kristy, I’m so sorry about your daughter. Two years is such a small amount of time, and certainly not enough to ease the pain of loss. I hope your week gets better. I can’t really imagine what those parents are going through. On one hand I do understand their feelings of loss, but on the other, given the way it happened… You just know it’s going to haunt them forever. Even the emergency responders. My brother was a paramedic for a while, and some of the things he saw gave him nightmares…and nothing compared to this. I am glad things are better. Couldn’t agree more with everything you wrote, Kristy. You hit the nail on the head regarding a delicate and controversial subject. For starters, *hugs* for you. I’m sorry that you lost your daughter. It’s horrific what happened. I read the list of names and the ages and it made me cry. My husband & I talked about why these people don’t just take their own lives alone, why has it become an event where they have to go to a public place and kill strangers and destroy other families? I don’t have an answer to that. But do I think gun control is the problem? No. I think that not getting people the help they need is a problem. I think that people not taking responsibility for their own actions is a problem (ie, it’s the guns that committed murder, it’s the spoon that made you fat). In much the same way I had to stop following the 9/11 news, I’ve also had to stop watching this news coverage. I know what you mean by the pictures making you cry. I can also understand why reporter questions would make you crazy. I don’t watch the news anymore. I go through trending topics and, if there’s something I feel I need to know, I’ll read about it. I’d heard quite some time ago that news tended to depress people…and I agree. Ninety-nine percent of it is depressing, and the reporters just seem to go for sensationalism more than accuracy or truth. Others have said it, and I agree, that it’s probably the vulture-like attention they give to these tragedies that spawn others just like them. What’s sad about all of this is that we’ve had a steady decline in murders since 1993. It was around 24,500 then…and it was roughly 14,000 last year. And that’s with gun purchases through the roof. Yeah, it’s not the guns…it’s the people who have issues. I remember hearing the news when I called my husband on my way home from Christmas shopping. When I got home, I decided to curl up into a ball and take a nap. Shut out those emotions for a while. Now, days later, the media continues to pick this to pieces. Who was this person. Why did he do what he did? His notoriety, his name on the lips of so many news broadcasters might, as you said, light a fuse under some other crazy looking to “go out” in a perceived blaze of glory. The most reprehensible coverage I saw was an on-scene feed of a parent hearing the news. Have they no compassion? I stopped watching the news. I know what I need to know. And, I agree with you on gun control. We can knee-jerk react and begin a ban on weapons, but the criminals will find a way to get them. Condolences on the loss of your daughter. My husband’s half sister was killed by a drunk driver when she was 26. He was the “on call” lieutenant for family notifications that night. Since my husband’s half sister had a different last name, he officer calling about family notification had no clue. The knock on his parents front door was — bar none — the hardest thing he had to do while in law enforcement. I know. I can’t watch those reports anymore. I just can’t handle it. I’ve been so weepy since the shooting, I can’t look at the pictures of the kids anymore. The stories about the football player visiting the one family, and all the firemen showing up for one of the funerals still makes me cry. So rotten as it may sound, I won’t read anything else about it. I do read about all the shootings/near shootings that have occurred since, and I’d bet big bucks it’s going on because the Connecticut shooting is still front page news. Today on FB though, I read a story about a couple of off duty officers who stopped a tragedy from happening in Texas…because they carried concealed weapons. People with proper training could save a lot of heartache…but for knee jerk reactions to start banning, and passing new laws to make it harder to carry concealed weapons. I completely agree with you in regards to gun control. I’m always astounded that others can’t see it for what it truly is. They’re only handicapping the good when they try to take guns away. It’s just like Jennette says, there are more shady deals going down outside of proper channels. I’m so sorry about the anniversary, Kristy. I know it can be a hard time. Hugs. Thanks, Debra. Hugs to you, too. I’m just stunned at what I see going around the net the past few days. Guns don’t kill people anymore than cars do. It’s the people who misuse both that kill others. And no matter how many laws that are passed to take more rights away from law-abiding citizens….it’s not going to stop these tragic events from happening. There are always going to be criminals who can obtain weapons illegally. And until there’s a better system in place to treat the mentally ill, especially the mentally ill geniuses, then they will be able to go through proper channels to get the weapons they want. There’s an article going viral, “I Am Adam Lanza’s Mother,” that addresses this issue. This woman’s son is mentally unstable…with tendencies toward violence – including death threats. But until he commits a crime, her hands are tied. She’s tried to get him help, but the system says he doesn’t meet their criteria. So the government, and medical profession bears a lot of responsibility for things like this. You can’t set these kinds of guidelines for people who are clearly a danger to themselves and others. Yet gun control laws will solve everything, right? Yeah, that’s like canceling a field trip…punishing the entire class…because one kid egged the principal’s car. You don’t punish EVERYONE because of a few nutcases. I read that article and saw the truth of what she was saying. The comments people were making irritated me. So many people are clueless to what mental illness really is. It’s a serious issue and it really needs to be addressed. More so than the gun control that so many are gravitating towards. I almost mentioned that piece in my post today, but decided to keep the post about healing rather than all the other painful issues attached to the incident. Healing really is what we should be focusing on. I just get frustrated when I see all of the misplaced anger. And it started so fast. Clearly mental illness IS the problem, but until the government, school systems, and medical personnel will admit it…and actually DO something about it, this kind of thing will continue to happen. Of course, throw ‘reporters’ like Katie Couric interviewing victims families three days later, and that doesn’t help. That kind of media attention is probably very desirable to some mentally ill person/people desiring to go out in a blaze of glory. I’m glad you posted the article about healing again. It’s very good, and people need to see it. I can’t even stand to turn on the news, because the shooting is all that’s on, and it’s so disturbing – then made worse when we have to hear the same soundbites over and over. I am 100% in agreement with you on the guns – go to any gun show, and you’ll see more unofficial deals going down in the parking lot than inside. Gun control doesn’t work. What makes situations like this so much worse is that no one has a viable way to prevent the next one, and all the media coverage does is bring out the copycats. Just awful. I know what you mean, Jennette. Right now, Katie Couric is interviewing family members of the victims from the shooting. Three days later? WHAT is wrong with the media?! Why can’t they let those people grieve in peace? Because it’s all about the sensationalism and ratings shares. If they really cared as much as they pretend to…this wouldn’t be constant news. And it does bring the copycats out of the woodwork. I’ve already heard about three more shootings and/or threats since Friday. Yeah, the media can blame themselves for some of this. But then irresponsible news reporting has been pretty consistent over the past ten or twenty years, so it’s not a surprise. I think all of this is also another way for the media to help with the movement to pass gun control laws. And I’m not surprised to hear about the parking lot deals at gun shows. THOSE are the kinds of people we have to worry about being in possession of firearms…not the ones who go through the criminal background checks. Gun control laws will be just as effective as laws to control illegal drugs, illegal immigration, and drunk driving. Kristy, I’m so sorry you lost your daughter two years ago. I can’t imagine how hard it is to lose a child. Yes, what a difficult week for you. The killings today make me physically ill. All those innocents slaughtered. I have to agree with your comments about gun control. Like the examples you listed, those who are set on killing will find a way to do it. So very sad. Thanks, Lynn. It is really hard, and the timing of the anniversary…and this tragedy in Connecticut… No, I didn’t lose my daughter to a senseless act of violence, but I understand so much of what those parents are going through. My heart just breaks for them. Maybe if the media would stop sensationalizing events like this, they wouldn’t happen as often. I mean first we have all sorts of music, movies and television programs that glorify killing. Then you have a generation of kids who ‘killed’ everyone in their path in violent video games. I cannot believe that filling their minds with that much violence doesn’t affect them in some very negative ways. Then we have the media jumping on these stories because they improve their ratings. Amen on the video games, Kristy. I shudder when I hear my grandson (sound effects from his own mouth) playing those games, and often wonder if the do desensitize our kids. Surely there’s a better venue for thrill seeking that engages kids without making them hunters and hunted in violent games. I think the games do desensitize kids. I believe it makes them feel invincible, and (kind of like what happens in cartoons), the victims always jump back up for round 2, 3, and 756. I agree about engaging the kids in other activities. I’m not all that thrilled with the kill/be killed stuff either. It’s disgusting. My wife and I have been in shock all day. Evil is among us and on a rampage. God bless your family Kristy. I’m sorry your kids must deal with this sickness. My wife and i talked a bit about this on the way home from church a bit ago. Things are happening as the Bible says they will. Not to be negative, but it says things will be much worse before they get better.